Do you read holiday-themed books? As a bookseller, I always wondered who the audience was for them (especially around Christmas, when we’d get 26 copies of Dating Mr. December) . Well, turns out that audience includes me. 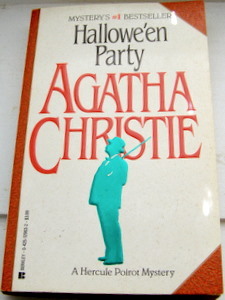 In anticipation of Halloween, I picked up Agatha Christie’s Hallowe’en Party for 10 cents. The purchase got me thinking about good Halloween reads, and about making a short Halloween book list for the blog. Being a book nerd, my “short” list quickly turned into 50+ titles. 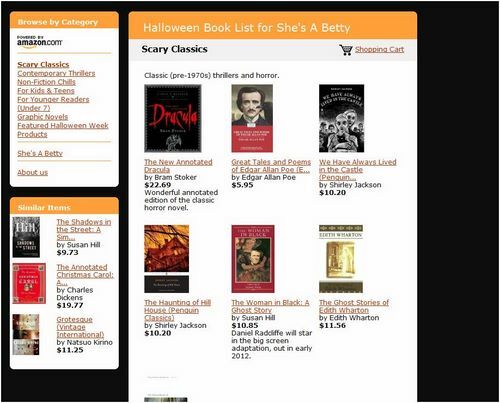 So I’ve created an Amazon aStore of my recommended Halloween books. I approached this list as a former bookseller, meaning it contains both books I love and books that aren’t really my thing, but might appeal to others (for example, I don’t like zombies, but zombie books are on the list). I’ve also divided the list into 6 categories (see the left hand column) for easier browsing. And I’ve included only one or two titles per author (e.g., there’s only one title by Stephen King), trusting you to fill in the blanks. Click the image below to visit the store. Disclaimer: I made an aStore because it’s the easiest way to make a book list with images, links & reviews. That said, I’m an Amazon associate, and do get a tiny percentage of the profit when you buy something through the aStore. It’s a teeny-tiny amount, though, and I encourage you to shop around. Remember, there’s the library. There’s Paperbackswap.com. There are your local bookstores. There are free eBook versions of all public domain titles. And of course, there are your local thrift stores (my Halloween book was 10 cents!). 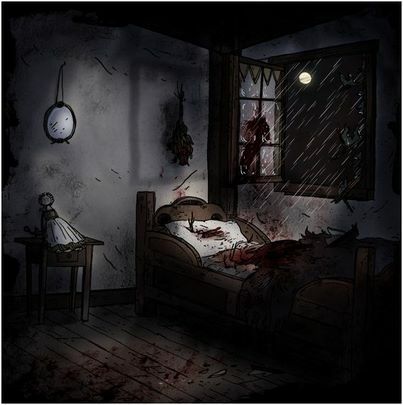 Emily Carroll’s work: Carroll (who also wrote the disturbing His Face All Red) has a new webcomic called Margot’s Room. Each Friday leading up to Halloween, a new part of the story comes out, with the link to that story part hidden somewhere in the room above. Teeny-Tiny & The Witch Woman: An animated version of Barbara K. Walker’s book, Teeny-Tiny & The Witch Woman is a classic, and one of my childhood favorites. 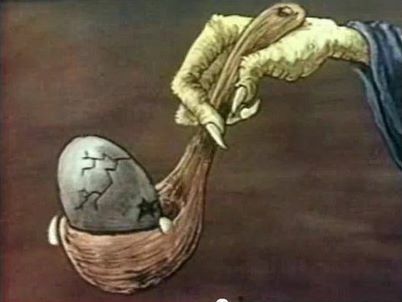 I linked to it in the aStore (and still think children will love it), but it’s also on YouTube if you want a quick nostalgia fix. And it’s not just the cheek spiders, it’s the whole book. If you don’t believe me, here are more scans & comments; that Scary Stories has been one of the ALA’s most banned/challenged books for more than 20 years is another testament to its power to disturb. 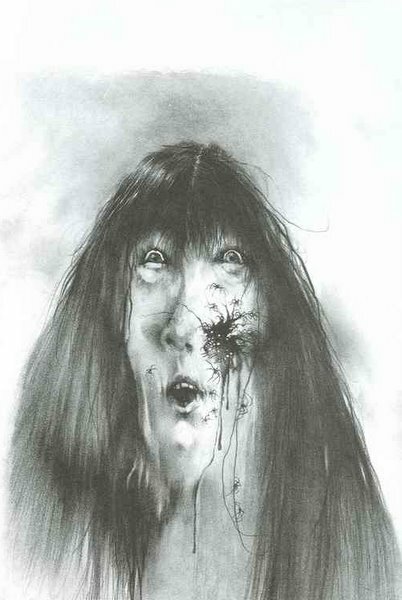 Be sure to get the out-of-print versions illustrated by Stephen Gammell, however; his illustrations make the book.